GRAMMY DRAMATICS! Ruffles, Feathers & Thigh Action From Ashanti, Fantasia & Audra Day…Do We Love It?! 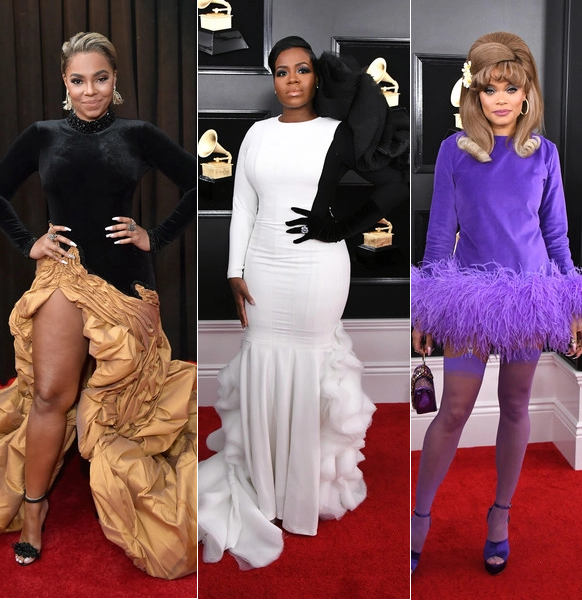 It’s the biggest night in the music and a few YBF singers stepped out the box for their 2019 GRAMMY lewks. Head turners for sure. New cut and color, oh? 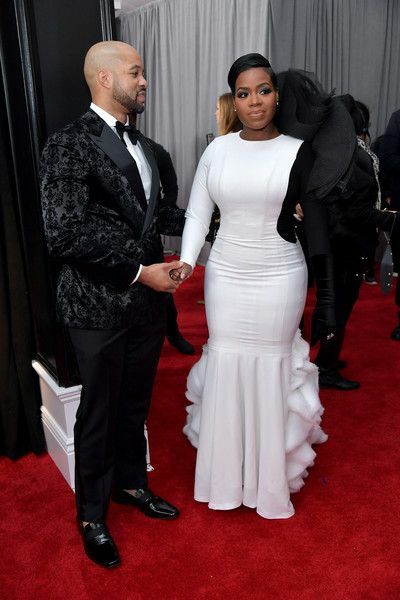 Ashanti, who has one Grammy under her belt, stepped out on the red carpet serving up thigh action in a black and gold high slit ruffeled number, styled by Wilford Lenov. She debuted a cropped coif to top off her dramatic red carpet look. Before she hit the carpet, chick was laying down vocals in the studio where she didn’t leave until 6 in the morning. On the carpet, she said she’s currently working on new music to release to the masses. So get ready. As she made her way down the carpet, she stopped for a photo-op with Shaggy and Toni Braxton – both previous Grammy winners. Fantasia also stepped out the box for her Grammy look. White ruffles with an attention grabbing arm piece, she surely had folks on notice when she rolled up on the scene in this Valdrin Sahiti number. The Grammy winner (she copped her award in 2010) said everything isn’t black and white, but "tonight it’s exactly that!" Right by her side, Fanny’s hubby Kendall Taylor assisted her down the long carpet. 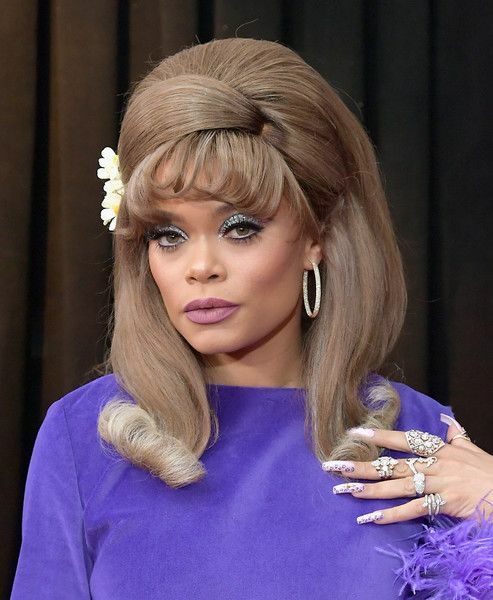 Audra Day served up a 60s-inspired baby doll look before she hit the stage for a special tribute to Aretha Franklin with Fantasia and Yolanda Adams. The singer served up extraness in a purple Cheng-Huai Chuang feathered frock paired with purple Sophia Webster platform heels and purple thigh highs. Are we feelin’ the lewks? !